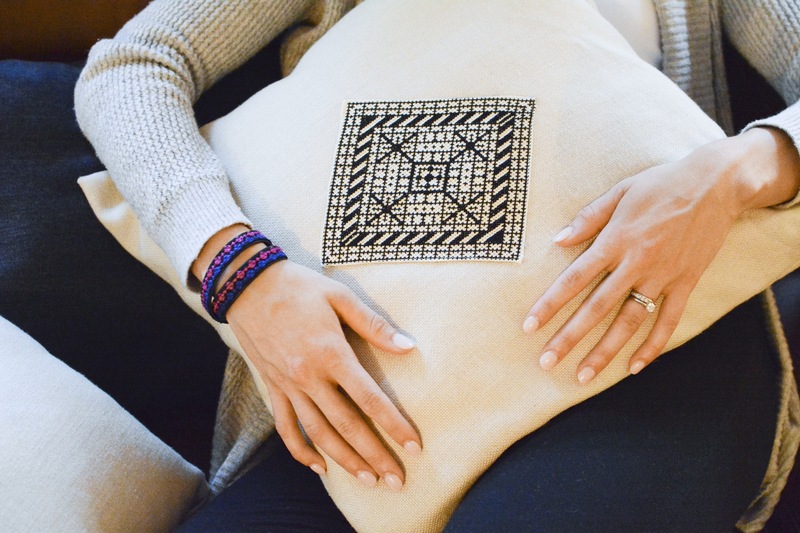 Darzah is a celebration of women’s empowerment and traditional Palestinian “tatreez” embroidery. Darzah is a project of Child’s Cup Full, a nonprofit social enterprise dedicated to creating lasting economic opportunities for refugee and low-income communities in the West Bank. 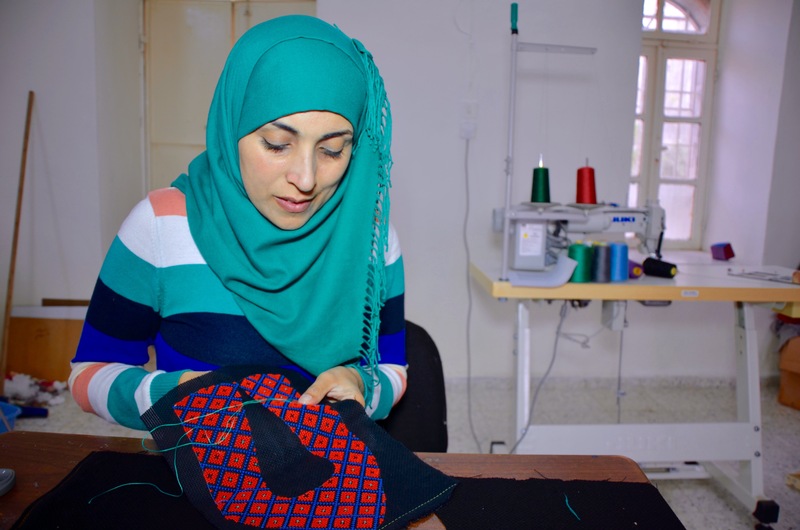 All Darzah products are hand-stitched by Palestinian women artists in the northern West Bank, and crafted by expert leather bag and shoe makers in Hebron. We are committed to paying living wages to all of our artisans and sourcing the highest quality materials available in the region. Palestinian cross-stitch, called “tatreez” in Arabic, is an embroidery technique traditionally passed down from mother to daughter. It is a strong symbol of Palestinian cultural heritage, and is a slow, methodical practice that requires careful calculation. Each tatreez embroidery motif has a unique meaning and originates from a specific area of Palestine. 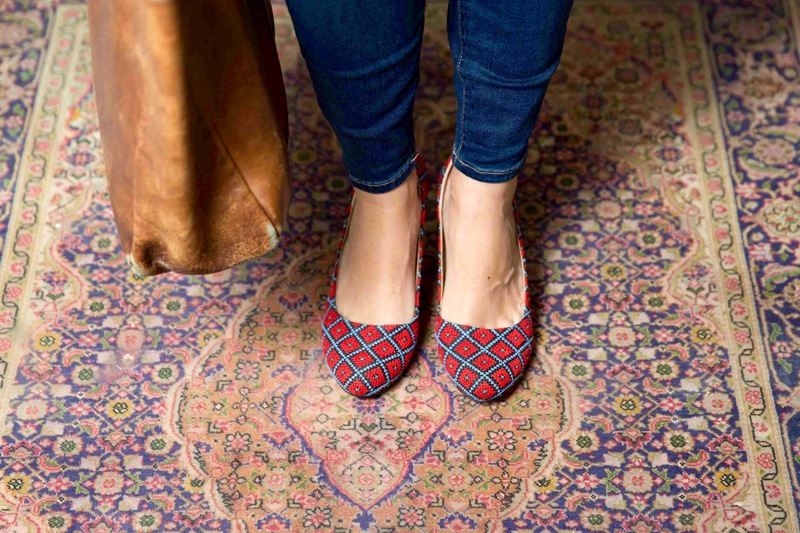 Most designs are inspired by the local nature and everyday life, such as the Cypress Tree motif, also known as the “tree of life.” While each piece incorporates traditional Palestinian designs, we also try to apply the embroidery in new ways, such as creating leather flats for women. Each pair of shoes takes on average 6-10 hours to embroider, depending on the skill level of the embroidery artist. Howcan i order from Pangaia and help the people? I like Ethical fashion! Currently, you can order from each artisan. We are working on building a Pangaia marketplace!